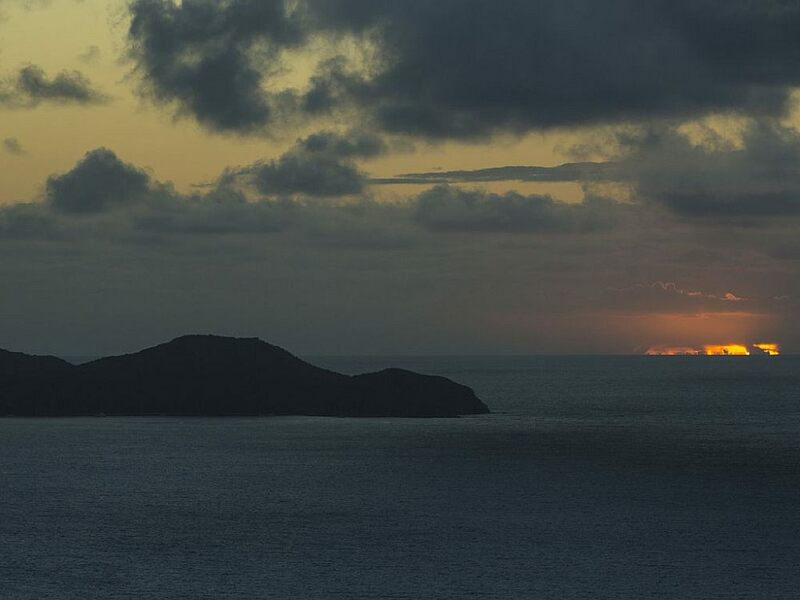 The “Sunrise Sweet” makes you feel like are hovering above the turquoise ocean and has fantastic sunrises. 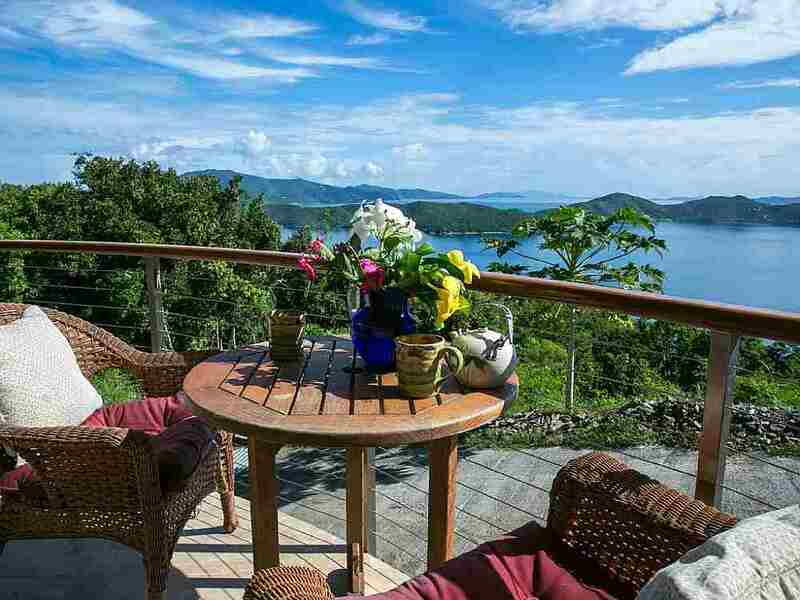 This solid masonry home has views that even WOW the locals! 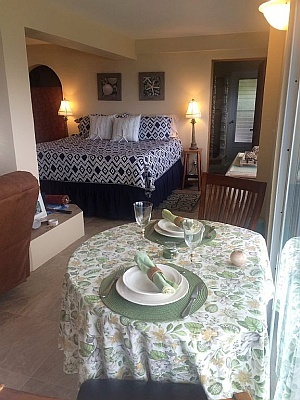 The Joy of Life Villa’s “Sunrise Sweet” is an expansive studio w/ silent AC, full kitchen, living area, 50″ HDTV, WIFI, deck, screened sunroom, luxury king bed & high-end appliances and furnishings. 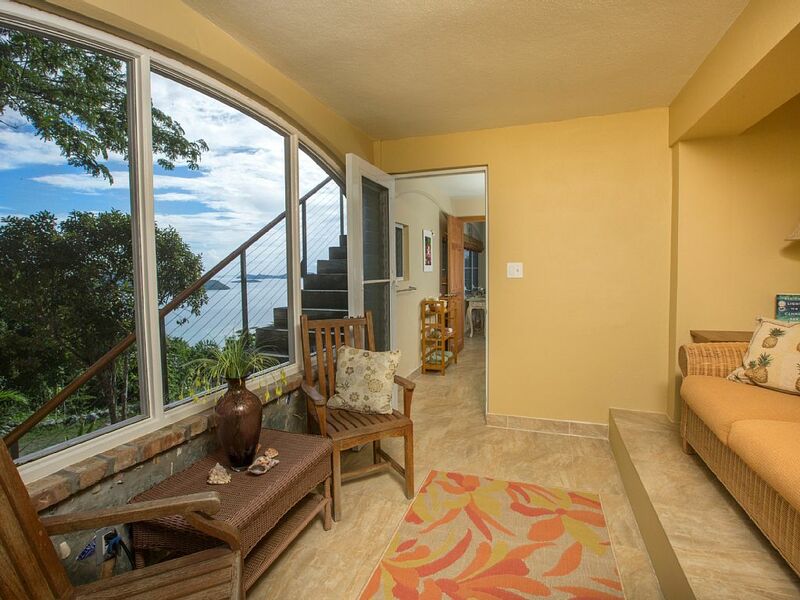 Perfect for couples, romantic getaways, and solos. 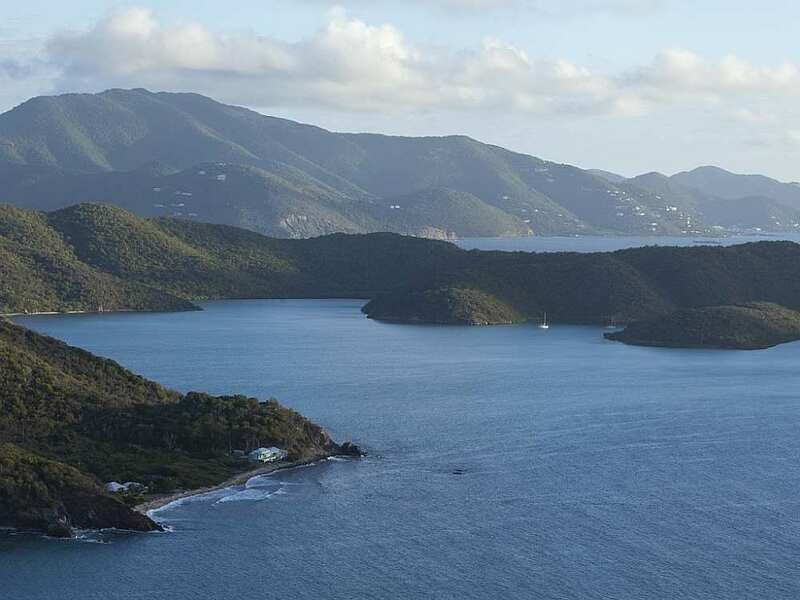 Located in Coral Bay, 2 minutes to restaurants and 15 minutes to major beaches on North Shore. 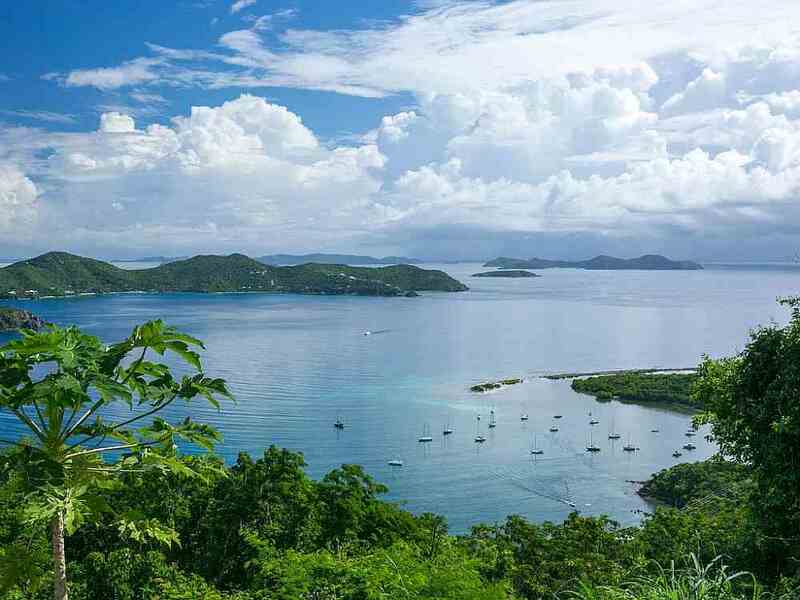 Jeep with 4WD required for the steep terrain of our hill and St. John. Looking to the south from your front deck. A very spacious studio with 3 recliners and coffee table that pops up too. 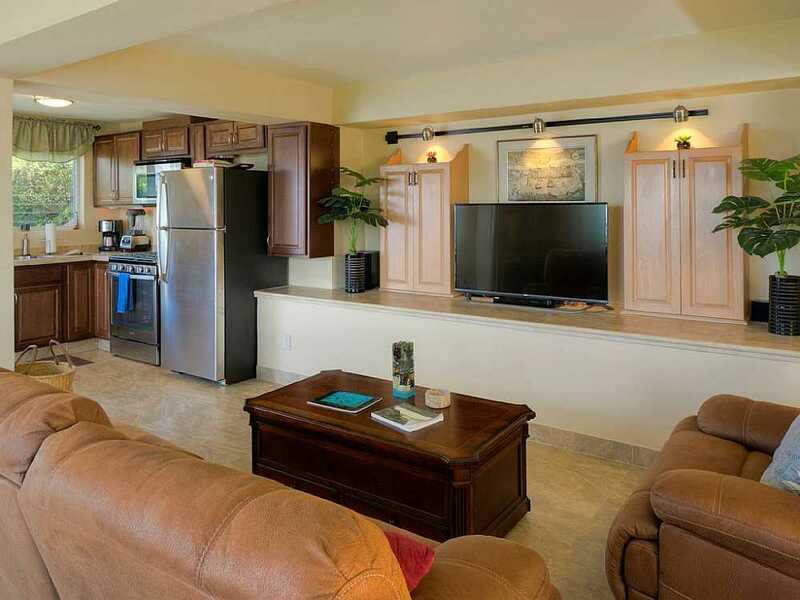 A 50″ HDTV with home theater sound, bar cabinet and movie library cabinet. 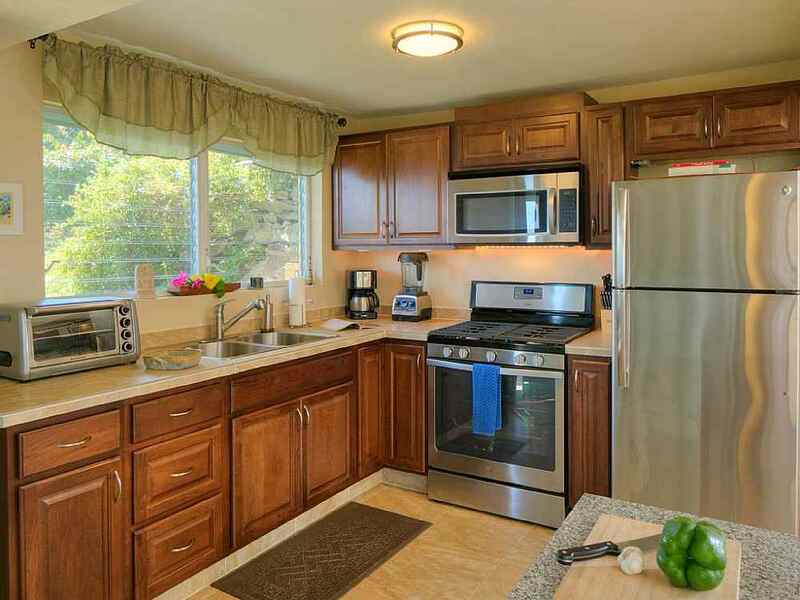 Your kitchen has high end and stainless appliances, all the gadgets too. 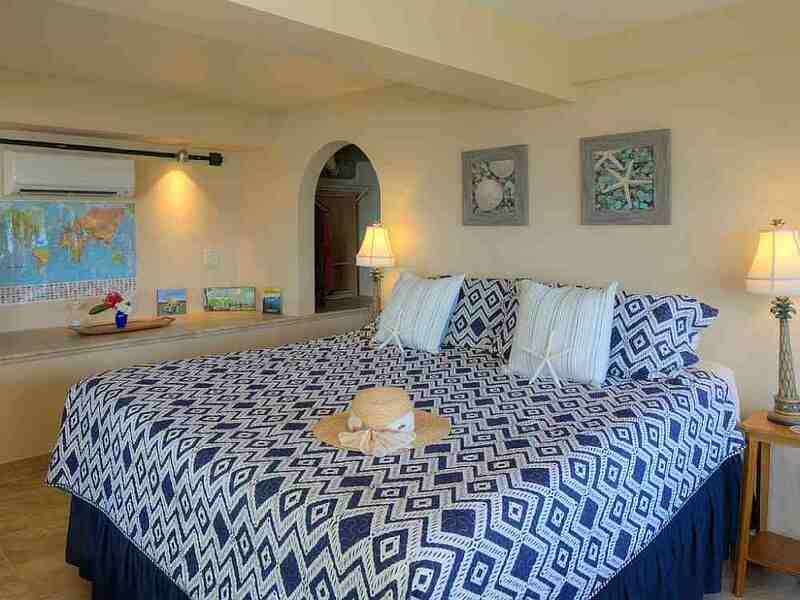 Your awesome new pad above the sea! Can’t beat the view you wake up to in “The Sunrise Sweet”. Not just any king bed – ultra comfort mattress made of foamed soybeans! 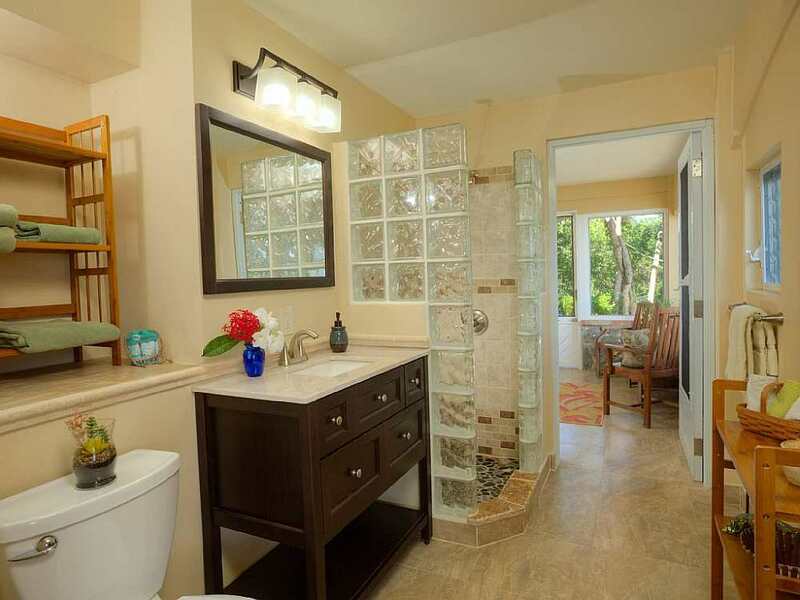 Bathroom with local stone shower basin, adjacent screened in sunroom. Separate screened sun porch with sofa bed. 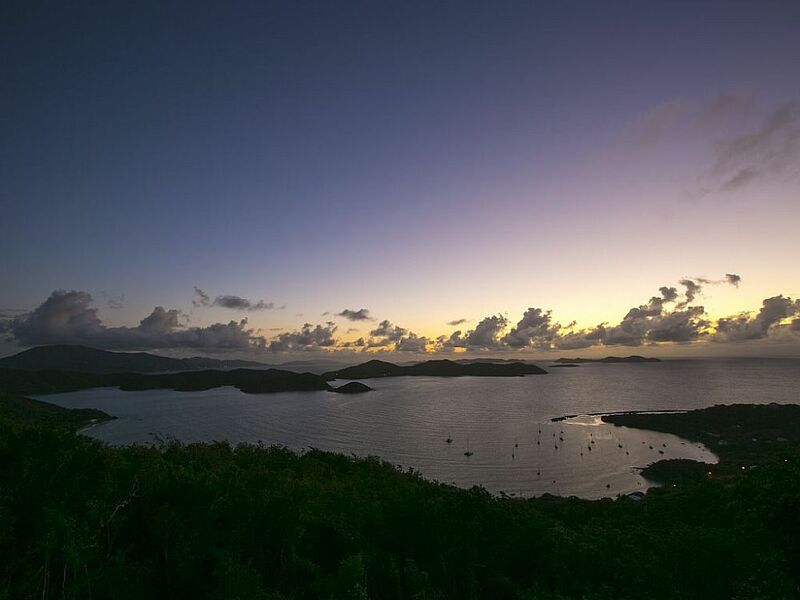 Cancellation: You may cancel your reservation up to 60 days prior to your arrival. 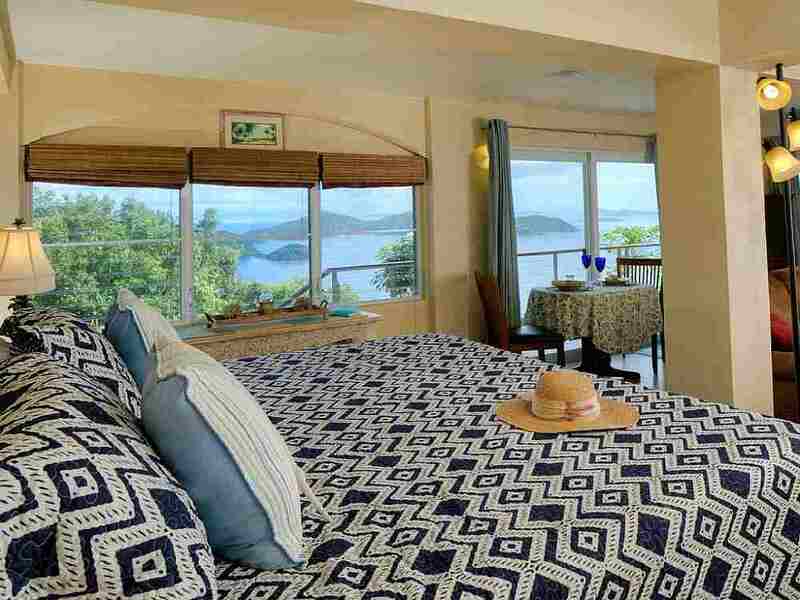 In the event of cancellation of this booking and rental agreement, any refund of deposit(s) will be only to the extent that the Villa is rebooked for the same time period at the same rate. We reserve the right to charge 20% of total rent for canceled reservations. If you cancel within less than 60 days of your arrival you will not receive any refund. 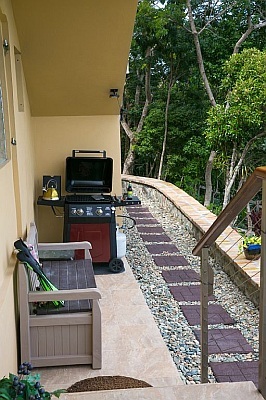 Private BBQ area. Snorkel gear and beach toys are inside the bench. 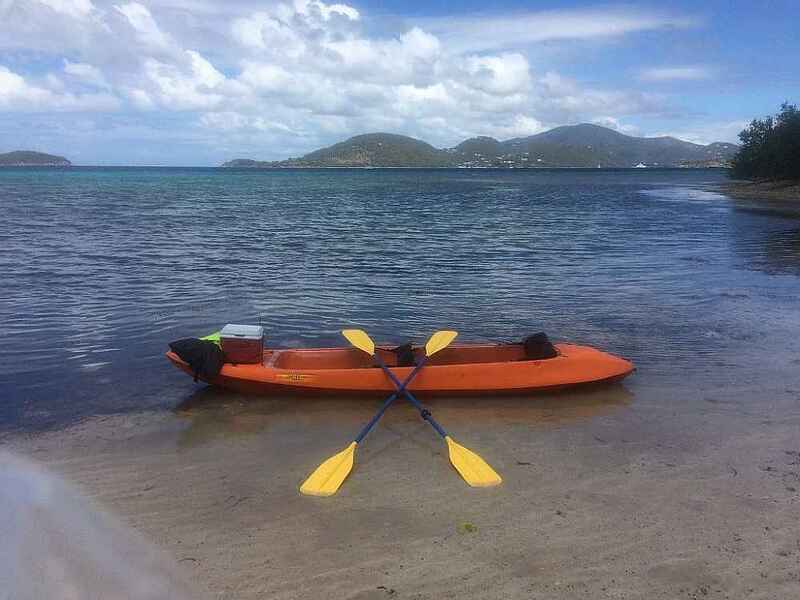 INCLUDES COMPLIMENTARY GLASS BOTTOM KAYAK FOR TWO plus standup paddleboards and kayaks at TWO different nearby beaches, waiting for you to explore! 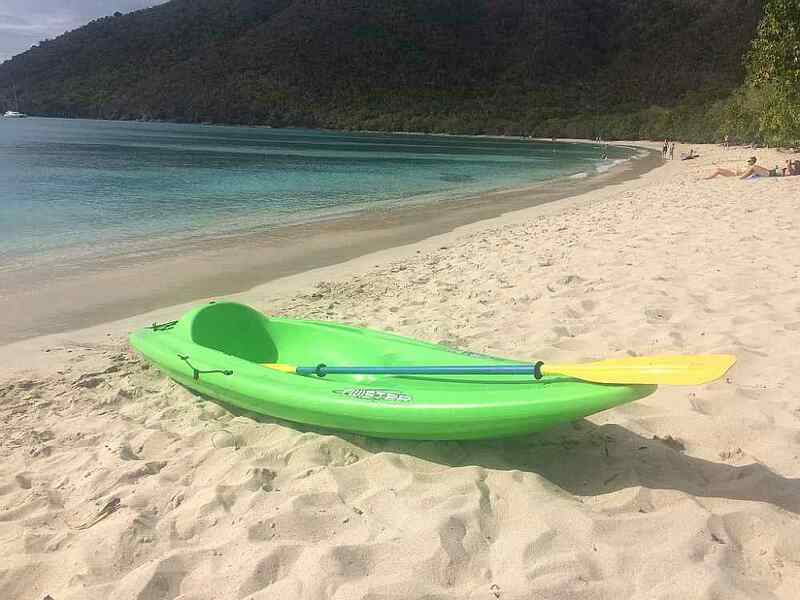 This single kayak is one of the water toys awaiting at two different beaches. Stand up Paddle Boards are included and located on the beach, waiting for you! Here comes the Sweet Sunrise! 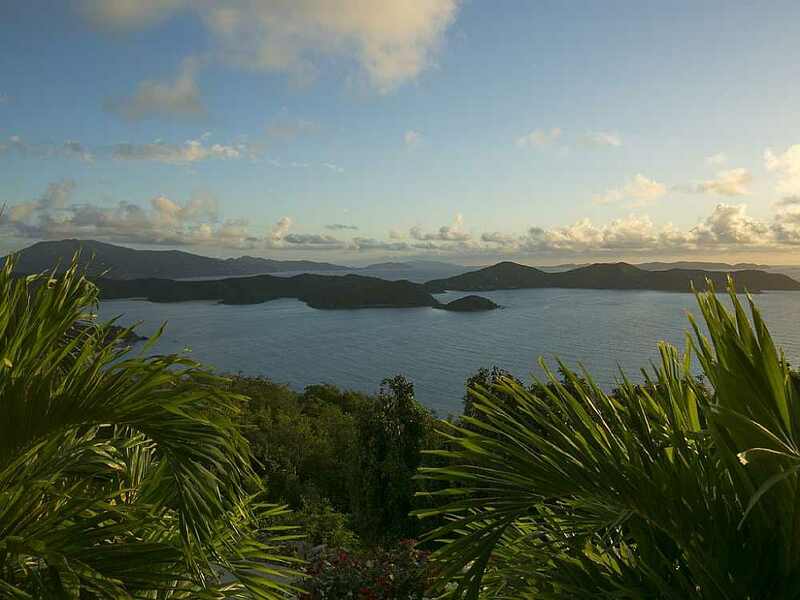 Tranquil views of two countries: the US and the British Virgin Islands. 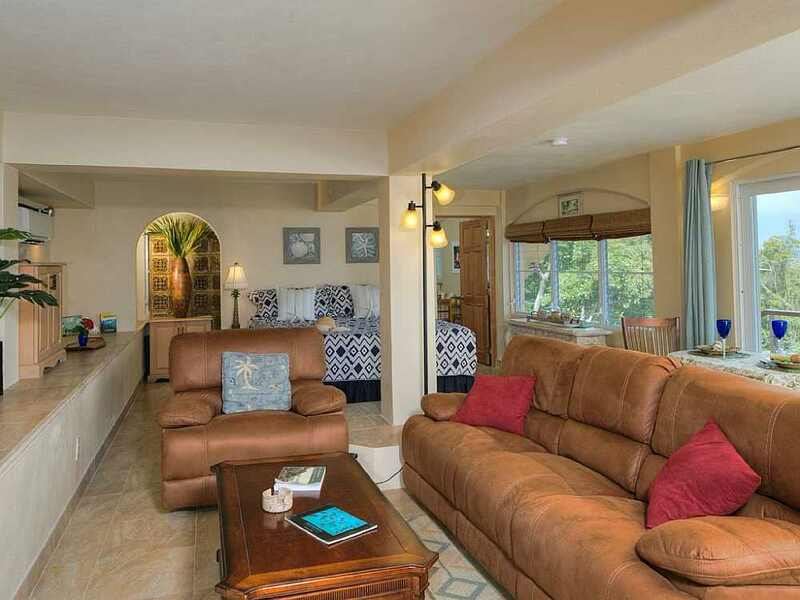 Outstanding hosts, impeccably clean property, every amenity, gorgeous view, heavenly experience! Sunrise sweet is a magical place. Another day in paradise comes to an end as the tree frogs begin.